With a stay at this villa in Felanitx, you'll be within a 15-minute drive of Cala d'Or Marina and Vall d'Or Golf. 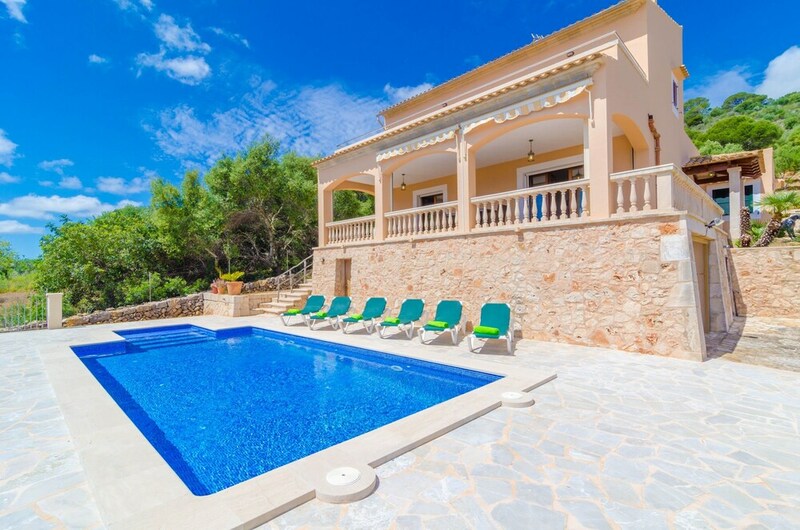 This villa is 10.8 mi (17.4 km) from Cala Mondrago Beach and 12.2 mi (19.6 km) from Caves of Drach. Make yourself comfortable in this villa, which features a private pool. There's a private furnished balcony/patio. A kitchen is outfitted with a full-sized refrigerator/freezer, an oven, and a stovetop. Satellite television is provided for your entertainment. Take advantage of recreation opportunities such as an outdoor pool or take in the view from a terrace and a garden. This villa also features complimentary wireless Internet access and barbecue grills.